Is your car missing a part and you’re not sure where or how to find it? Stop stressing out over finding a deal on auto parts! Easily compare car part warehouses to find the best parts & accessories near you in just minutes! 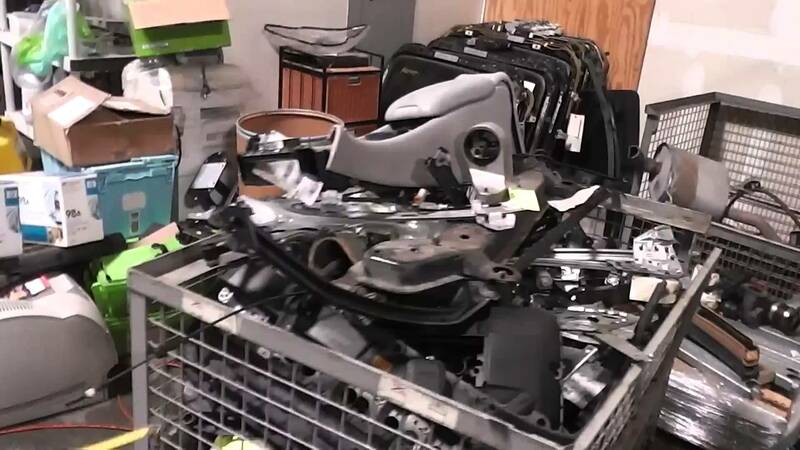 Locate tons of new and used auto parts in stores like Advanced, Napa, O’Reilly’s, Rock, and other discount warehouses around the country. Find coupons that you can use instantly and save tons of money. Finally, fix your car and get back out on the roads in style! Welcome to the world of car mechanics! Follow easy tutorials that walk you through basic repairs and connect with experienced experts who can talk you through the rest. Looking for a very specific part? Find tons of information and auto parts that are specifically tailored to your vehicle! Whether you’re looking for a filter, a new battery, or something even more specific, search thousands of available parts in just seconds so you can find exactly what you need – fast. We found this app in an article that talks about different car part apps and thought it was quite helpful. So here’s the link in case you want to check it out. Trovit is an excellent used-car finder that lets you create customized notifications based on the search criteria you specify! Looking for a specific model of car? Want to know if the car contains a specific part you need? Set up used car alerts by selecting the car’s make, model, price, location, and more. Trovit searches thousands of used car websites using your preset filters to deliver the best results in real time. Find out about used cars as soon as they’re put on the market so you are always the first to know every single time! Get all of the car parts you are looking for in no time at all! Create a wishlist of the auto parts you want most, find tons of expert deals, and easily locate car parts that are specifically designed for your car’s unique make and model. Want to make sure the part you need gets to you on time? Track your order as it makes its way to you so you know exactly when it’s going to arrive at your front door. Plus, contact sellers directly to talk specifics, shipment methods – whatever! No matter what part you’ve been looking for, find it and loads more! Ready to finally get your car out of the garage? EpicVin helps you locate used cars via VIN number so you can find the exact make, model and auto parts that you need. Scan your vehicle’s VIN barcode to receive all the information you could ever need, all in one place! Regardless of how many searches you make, always have access to them in your search history for future reference. EpicVin also claim to have records of every single used vehicle ever sold in the US. That’s a whole heck of a lot. While we have yet to be able to test this theory, it isn’t far-fetched to think that they will know exactly where you should look for the car (and, thus, car parts) of your dreams. Whether your car is a 2010 or a 1927, discover all the parts you could ever want or need at great deals you won’t be able to pass up! Whatever it is that you need to complete your car, truck, or motorcycle, find it and plenty more. Used car parts can still be expensive and, just like you, JC Whitney knows it. This is why they are always providing excellent deals on all kinds of parts across their site. Whether it’s 10% off or free shipping, there is always a good deal to be found! No matter where you live, make sure your car is in tip-top shape with excellent parts you can find at the push of a button. As a final tip before wrapping up the article, here’s another resource we used to find the apps. As it did help with writing the article, it might help you with finding even more interesting apps. Whether you’re fixing up a classic car for fun or you’re just trying to make your everyday car run, find all the parts you need and more with these great auto and auto parts apps. Don’t spend an arm and a leg when you can find great deals in the palm of your hand. No matter what auto part you’re looking for, find it with these awesome apps you’re sure to love.